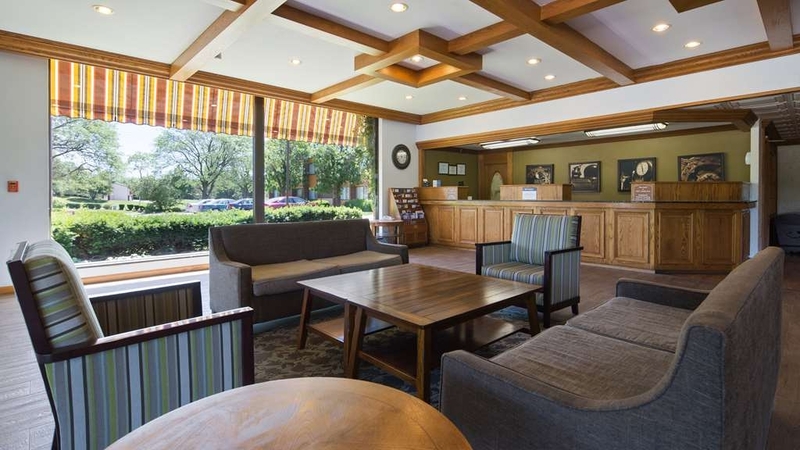 El Best Western Prairie Inn & Conference Center se encuentra en el centro de Galesburg. Venga y disfrute de las mejores atracciónes turísticas cerca de nuestro hotel. Precios bajos garantizados y ofertas exclusivas. Descubra la zona noroeste de Illinois desde la comodidad de este pintoresco hotel de Galesburg situado a sólo unos minutos del colegio universitario Knox y la calle Seminary Street. 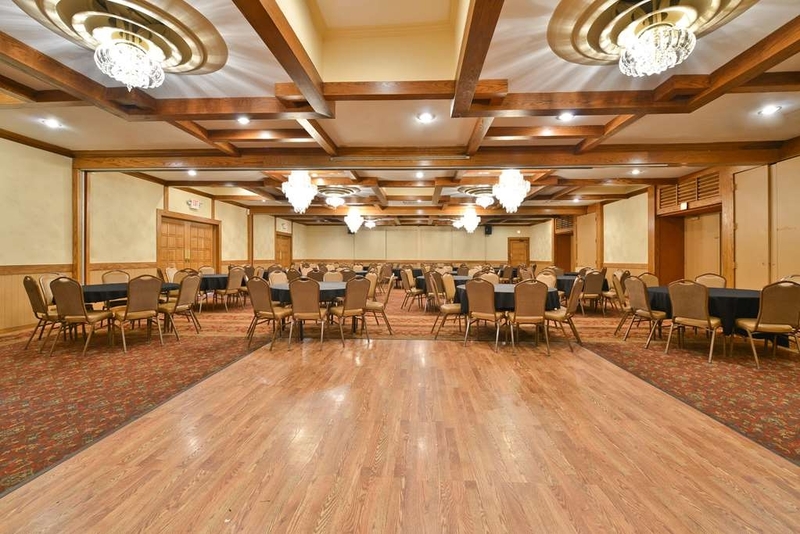 Con una fantástica ubicación junto a la carretera I-74, el Best Western® Prairie Inn & Conference Center se encuentra a solamente 5 kilómetros del corazón de Galesburg, Illinois. Nuestros huéspedes estarán situados a sólo unos minutos de la histórica calle Seminary Street, que cuenta con tiendas, restaurantes y mucho más. Los amantes de la historia y la cultura podrán disfrutar de las conocidas atracciones de Galesburg, entre las que se incluyen el Teatro Orpheum, el Museo del Ferrocarril de Galesburg y el lugar de nacimiento del conocido escritor Carl Sandburg. Un pintoresco recorrido en auto permitirá a los huéspedes de este hotel de Galesburg recorrer muchas de estas populares atracciones. Nuestro hotel es la opción de alojamiento idónea para familias que tengan previsto visitar a estudiantes en los colegios universitarios Knox o Carl Sandburg, situados ambos a sólo unos minutos del hotel. Nuestro hotel es asimismo el lugar idóneo para asistir a los eventos de temporada celebrados en la zona, como por ejemplo el Railroad Days y el Stearman Fly-In. Este hotel de Illinois proporciona asimismo un cómodo acceso a los huéspedes en viaje de negocios que deseen visitar RFMS, BNSF y Masters Educational Services. 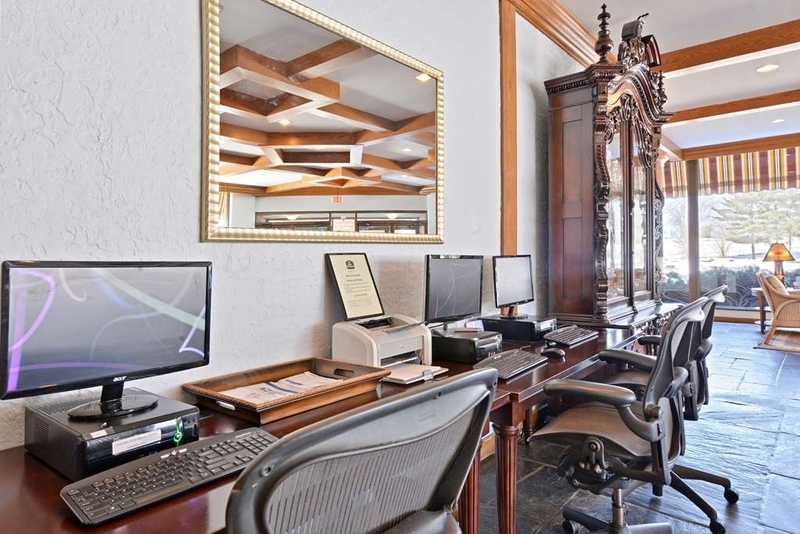 Este hotel de servicio completo de Galesburg, el único de la zona, le permitirá disfrutar de los más altos estándares de calidad durante su estancia. 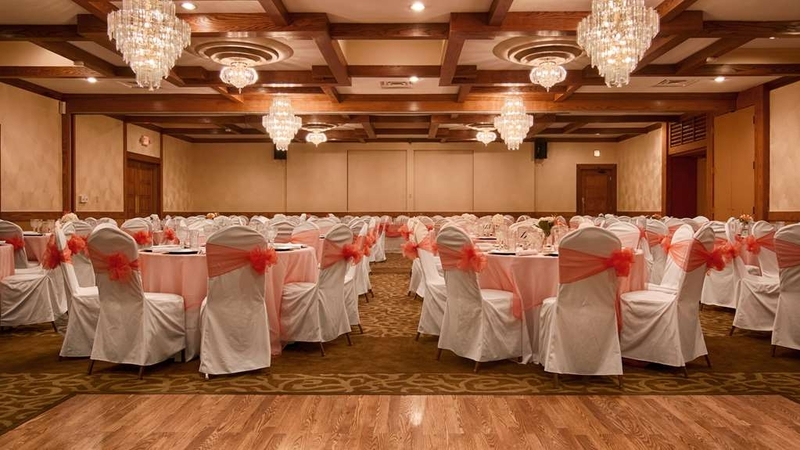 Nuestro salón de baile, con capacidad para un máximo de 300 personas, se convertirá en la opción idónea para su próxima reunión, banquete, evento o celebración nupcial. Las habitaciones recién renovadas del Best Western® Prairie & Conference Center cuentan con unas cómodas camas con ropa de cama de calidad y mullidas almohadas. Aquí encontrará también nuevos televisores con pantalla plana LCD de 37 pulgadas con canales vía satélite y HBO®. Todas las habitaciones cuentan con microondas y nevera. Algunas habitaciones cuentan con entrada privada desde nuestro hermoso patio. 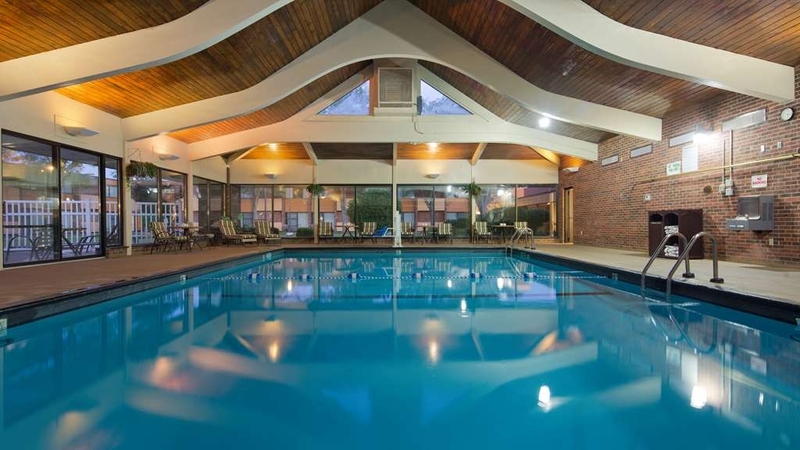 Entre otros servicios e instalaciones de este hotel de Galesburg se incluyen una piscina cubierta, gimnasio, servicio de habitaciones y acceso gratuito a Internet Wi-Fi. Convierta al Best Western® Prairie Inn & Conference Center en su segundo hogar durante su próxima visita a Galesburg, Illinois. Póngase en contacto con nuestro cordial personal para reservar su estancia hoy mismo. Disfrute de su estancia en nuestro hotel. This hotel is a bit long in the tooth and could use a makeover. I was very disappointed that the restaurant had been closed as I didn't want to have to get back in the car. Had a sandwich in the bar, where the bartender gave the impression of wishing she were anywhere else; making my martini in a plastic cup because she didn't want to have to wash glasses. Misty checked us in and was very friendly and made us feel welcome. She talked about our points we had and our Best Western Rewards. The place was clean and very comfortable. I have trouble sleeping all night but I sure didn't here. The bed was amazing. 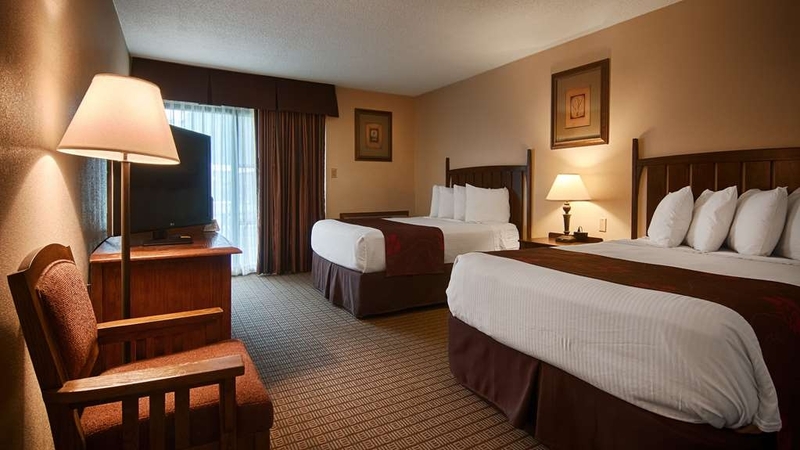 "Worst best western I've ever been in"
We have stayed here often on trips to visit family. The motel is always clean, updated, and super friendly. My wife feels very comfortable stopping here overnight when traveling on her own. It is one of our favorite places to stop. In need of serious renovation. This place was interesting and a little scary... I can tell it was a great hotel in its day, but it's a negative mark on best western name now. Room was dirty, hot water problems, place seemed abandoned...Hopefully it's gets a much needed update, the area needs a full service hotel. All of the staff gave great customer service. The room was very nice and clean. The beds were very comfortable. The coffee was very good. We will most likely be staying there again on our next trip. Thank you. Customer service was amazing. From check in to check out, we were completely satisfied. The breakfast was a pleasant surprise....bacon, eggs, potatoes, waffles, etc... Will definitely stay here again! "Stay here when in galesburg"
Been staying here yearly for the past 3 years and have always had a pleasurable experience. I rarely have to leave the facility with all the amenities on site....breakfast, lounge, pool, exercise. Sorry to see the restaurant has recently closed. Hopefully they will re-open that soon......then NO reason to leave the site. Everyone; the hotel desk staff person, the breakfast area staff, and the housekeeping staff all made sure that we had a wonderful stay. 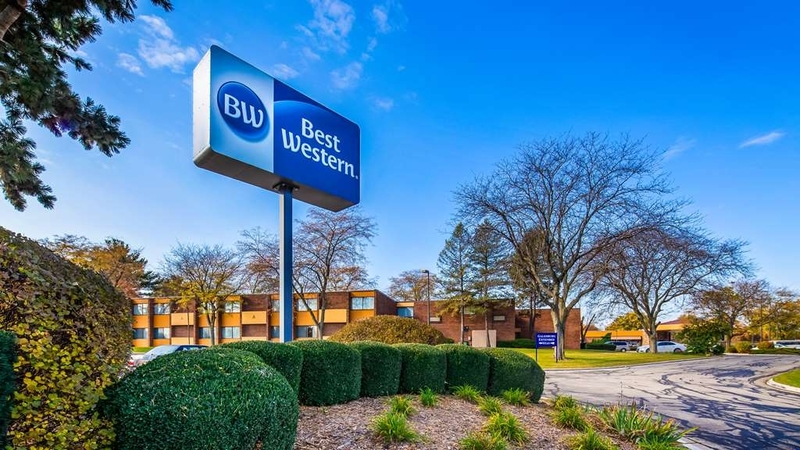 We will _definitely_ choose the Galesburg Best Western again when we are in the area. We are two of your most satisfied and pleased guests. Thank you for all that you do to ensure that your guests have a wonderful stay.The breakfast and service provided by the gentleman managing the breakfast area was among the best we've enjoyed at a Best Western. The food was delicious and the service he provided was so friendly; he clearly wished to delight his customers with the quality of the food and service he provided. Everything went very smooth. The hotel was huge and clean. The wifi connection was good. Soangataha (sp?) Is not the most convenient road, but it's fine. The woman at the front desk was very nice. I wish I would've caught the breakfast. We stayed here while we were doing the Spoon River Drive. I was pleasantly surprised. The staff was very friendly. The rooms were very clean and updated. We really liked the pool area. We had the pool to ourselves for quite awhile. The only complaint I have is that when you walk into the lobby, you can smell the food from the restaurant. It's a very strong smell. The complimentary breakfast was very nice. The gentleman that was working there was amazing. He made us a special dish that was absolutely wonderful. He is definitely an asset to the hotel. We have already decided that we want to stay here again next year! 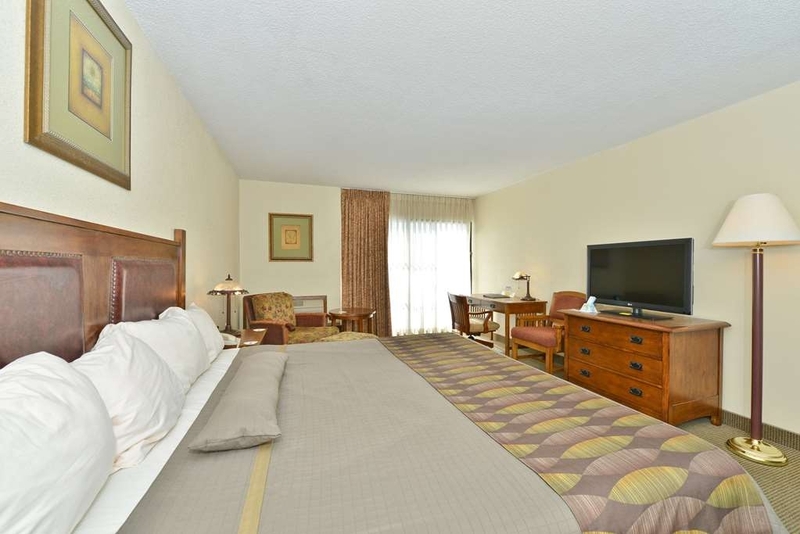 Room was very clean, the bed was super comfortable and the staff was very friendly! Breakfast was very good. We have stayed here before and we will stay here again. We had no problems during our visit. Thank you. Hope you can visit again soon! We were on our motorcycle and got caught in a major storm. When it became apparent we would not be able to wait out the storm we came here. Crystal, at the front desk was fantastic. She was friendly, made us feel welcome, and helped me find my best discount. The room, was clean, bed was comfortable and breakfast was free. Thanks! Loved the patio! Clean towels and beds nice rooms. We already booked our room for next year! Nice pool area Very friendly and helpful staff I would recommend this hotel it was a great stay for a great price! "Would never stay there again." I only gave this place a 2 because have to say the bed was comfy. As for everything else a big fat 0! The air conditioner sounded like a jet plane getting ready for take off. Had a really nice "science project" (mold) growing on the walls near the ceiling in the bathroom. Ordered food from the restaurant. Couldn't even eat it. The chicken was so undercooked I'm surprised it wasn't still clucking. The tenderloin was like shoe leather. OK, the fries were good. Couldn't even let anyone know when we checked out the following morning because we waited at the desk and no one was around. Stay somewhere else if you are in town. I am sorry we did not live up to your expectations. I will look into these matters immediately. "Highly Recommended for Family Reunions"
We had a very successful although small (20 people) reunion here. It was affordable and clean. It's a bit old compared to the newer hotels but has one great amenity: the open area outside the rooms in the center. It's a great place to sit outside and talk in the evening. You can't find that at any other hotel in Galesburg. I've looked and tried others. We could also meet for the free breakfast. Stayed for one night. The hotel was very nice. The pool was great. The only thing we missed was a hot tub. The breakfast was great. There was a nice variety of items. Great value for the money. Would definitely stay again. Great job from the staff clean lobby and breakfast area pool area clean as well rooms are great for the price. Close to the shopping mall and restaurants in the area. Air port only a mile away and easy access to the interstate. Breakfast was great as well. "Great for Family get togethers"
They were absolutely accommodating. Very helpful, even found a can opener for us when we asked. The patio doors open onto a commons area with café table and chairs and a bag game. 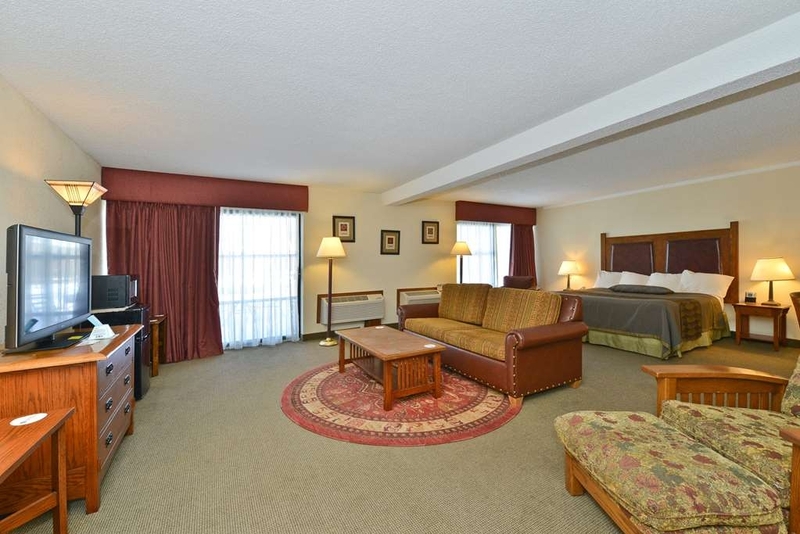 The largest suites in Galesburg by far. I would VERY much recommend this hotel to everyone. Was in town for one night. Location is out of the way, but not terrible. Room was okay. The only real complaint was that the faucet for the shower was difficult to work with. Liked the non-white towels for the bathroom...gave more of a homey feeling. We've stayed at this hotel a few times over the years. it's very convenient to the Interstate. Nice swimming pool. Friendly staff. Restaurant and bar on site. Free Internet - we were unable to connect from our room. I didn't bother reporting it, so I can't comment on how that would have been handled. The location is near the interstate and thought it will be noisy but surprise that it was quite and I feel like close to nature the way it is design and with all the trees in the property. Love the hot breakfast especially the healthy juice as I am a health conscious person. It is the only hotel I been to that offers that orange apple cider juice. 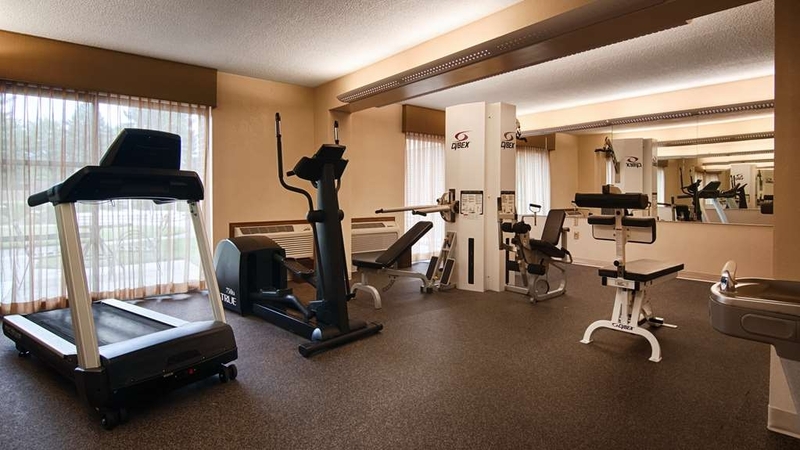 It has clean fitness room and nice pool. Front desk was nice but the housekeeping needs training what hospitality is. But that didn't affect anything will definitel stay again. "Decent for a short stay"
Stayed the night on New Years Eve, due to proximity to my family. The room was cool upon entry, turned the heat up and it remained cool. Even after 2 hours the room did not heat up. There seemed to be only one person at the desk as the restaurant and bar were closed, not allowing us to get a drink on New Years Eve. Good for a night, but would not recommend. Over all it was a nice place to stay. Bathroom could have been cleaner. Hot tub was nice and clean but couldn't regulate hot/cold water on at same time. They added boiled eggs to breakfast which was very nice, not everyone wants to eat carbs for breakfast. "Great place to take a break ????" Nice place to stay,plenty of good parking,close to several nice shopping centers & restaurants! We would've liked to try the on-site restaurant but it was closed on Sunday ???? Looking at the menu, it looked like it would be good Indian Cuisine! "Midwest Conference Championship Football game"
My wife and I stayed at the Best Western in Galesburg, down to watch my son play football, very nice hotel! Staff was awesome and very helpful, Crystal and Johnny went out of their way to make our stay great! Crystal gave great suggestion of the restaurant "The Packing House" for a great meal! Johnny went out of his way to make eggs that were not out for the standard breakfast, and even made me a good strong pot of coffee for my next leg of my trip!! "Great place to stay in Galesburg"
Nice, clean rooms along with quiet atmosphere and friendly staff at a reasonable rate. Will definitely return here next trip. Made a reservation at another local facility but decided not to stay there after seeing the room. Best Western was only a few dollars more but the difference was worth many times that. "Beware of Deceptive Practices Before Booking"
BEWARE OF BEST WESTERN'S PRACTICES BEFORE MAKING RESERVATIONS AT THIS HOTEL. I cancelled a reservation well before (i.e., approximately a year before) my two night booking. Best Western did not record the cancellation right, or at least they claim to have no record of cancellation. When I alerted Best Western customer service that they had inappropriately charged me for two nights, Best Western's response was "without evidence of an attempt to cancel we will need stand behind the no-show charges," "the manager insists that they never heard from you," and "What we are able to do, as a goodwill gesture from Best Western Customer Care, is to send you a check for one of the no-show charges." In other words, Best Western appears to have a practice of failing to properly record a cancellation. In doing so, it gets to keep 50% of its nightly rate and is able to effectively get around its "free cancellation" policy. That is deceptive. They fail to acknowledge that OF COURSE their records show that they never heard from me. If their records showed that they did hear from me, and then they still charged me, that would be outright fraud. Best Western evidently has a record-keeping problem, and they pass the cost of that problem onto their customers. I now have to engage the dispute resolution team at my bank to dispute a charge for an issue that seems like such a no-brainer for customer service. If Best Western had handled this issue the way any average person would think it would have been handled, and I did not need to involve my bank, there is no way I would have taken the time to write this. I enjoyed my stay at the Best Western in Galesburg. The room was comfortable and clean, the staff was helpful, and the complimentary breakfast had a lot of good options. I also appreciated how easy it was to connect to the in-room WiFi. Rooms are very dated. Shower very hard to turn on. Carpets needed cleaned in our room - barefoot not possible. Restaurant is dated and good choices not good for such an expensive stay. Good just average. After staying in some of the less expensive hotels, I decided on a room here, and I am glad I did!! 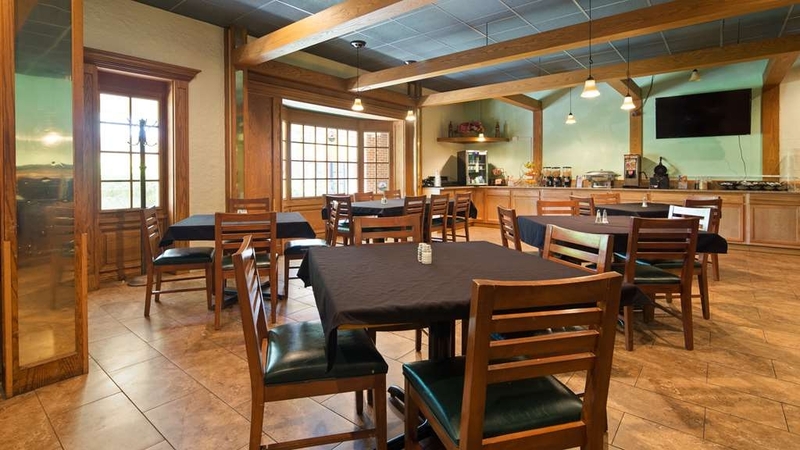 Staff was friendly, rooms were clean and very comfortable and there was a nice breakfast. Highly recommend this hotel. thank you for the great review. Come again soon. "Knox County Scenic Drive participant"
We came here for two weekends in a row. We like this hotel. The parking is good and it is not near a railroad tracks. The beds were comfortable and the staff was friendly. We enjoyed our visit and we will return again soon. The exterior of the building and hallways are outdated from the late 60s/early 70s; however, there's not much that can be done about that. The groovy interior public doors and the hall rugs could be updated. The grounds were well kept. The rooms were comfortable and clean. I've also stayed at the Holiday Inn before, which I would rate as higher quality, but I would definitely stay here again. My only complaint is there wasn't a place to charge my phone on the nightstand. Room clean and comfortable, staff and housekeeping very good. Breakfast adequate, skip liquid labeled orange juice. Bar wait staff very cheerful, fun and professional. Wi-Fi moderately troublesome to hook up to, but worked ok. Grounds attractive. Some traffic noise at night but not a problem for us. Have used this hotel repeatedly for years, and have always been more than pleased. Location, amenities, staff, and service cannot be beaten. My highest recommendations all the way around. 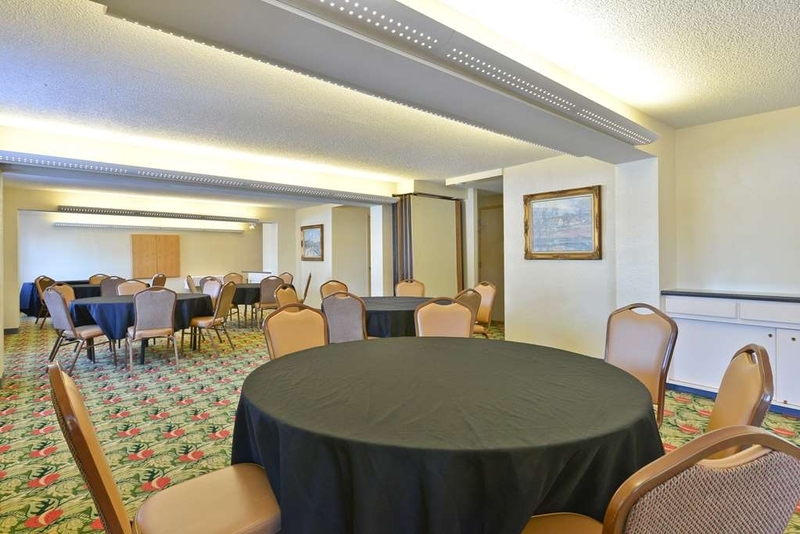 Whether for business or pleasure trips, the Prairie Inn has everything I have ever needed and a most pleasant and relaxing atmosphere, all well maintained and with the best personnel for staff. Never a complaint! The room was not vacuumed at any point in my stay and neither were the carpeted stairs. The room had mouse feces on the desk and mold on the shower curtain. The bathroom was close quarters between the door, shower and toilet. At checkout time, I was ignored by an employee and finally gave up and left my room keys on the counter and left. These issues are being addressed immediately and are not acceptable. On behalf of the entire hotel staff I truly apologize and if there is anything I can do please contact me. I have visited Galesburg many times and will definitely stay here from now on. It is situated in a quiet and pretty area tho not commercial. The room was very comfortable, everything was clean and pleasant. "Good Place to Stay While Passing Through Galesburg"
While on a long distance trip my husband and I ended up in Galesburg, IL, for the night. In searching hotels,the Best Western Inn & Conference Center had one of the better ratings and rates. The woman at the front desk was very pleasant and check in was quick. Since we are Best Western Reward members we were automatically upgraded to a court side room and given a check in package that consisted of 2 cold bottled waters, a bag of crackers and granola bar. The room was clean and the beds comfortable (compared to most hotels we've stayed at). We generally request a room on the top floor so we don't hear kids running above us, but because it was late and we were tired we stayed on the main floor. We did hear some kids in the room above us, but not for long. Otherwise, it was quiet. Free breakfast was included and there was an average selection of food (waffles, cold cereal, muffins, toast, juice), as well as sausage and scrambled eggs. Breakfast was in the hotel's restaurant, which was large, so guests are not crammed into a small space, which was nice. 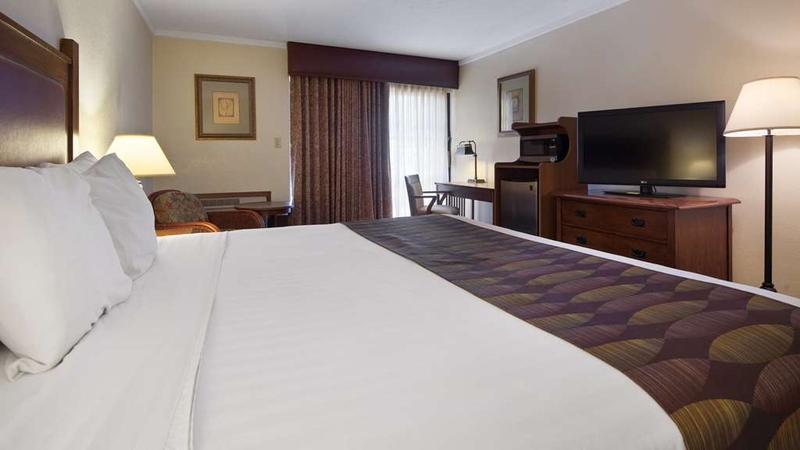 Thank you for the kind review and for being a loyal Best Western Rewards member. We hope you will visit us again. I found a good bed, a clean room, and a pleasant setting with an outdoor courtyard in Galesburg. The hotel facilities are above average, and the restaurant has delicious Indian food at a reasonable price. It does have a confusing layout, and the person who checked me in spoke so quickly, and in such a rote manner, that I had real trouble finding my room. That was the one small issue in an otherwise trouble-free stay. We stayed here while I was traveling with my daughter.This hotel has a friendly staff with clean rooms and comfortable beds for a good nights sleep. Nice and quiet. I would recommend this hotel. Well lit parking lot and good breakfast. great place, staff was friendly and very helpful. rooms were comfortable and love having access to courtyard from room. pool was great. would stay there again. close to Main street and easy access to I74. Breakfast was hot and had great variety, changed daily. Must try! 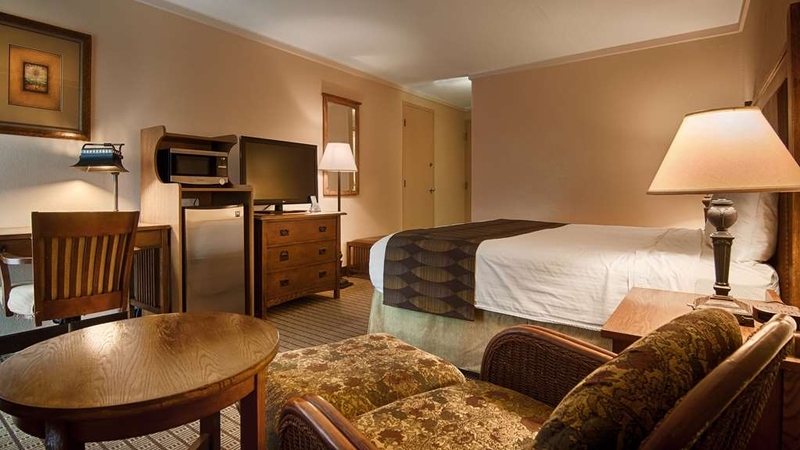 "What a cool, vintage style, well laid out, classic Best Western!" This hotel gets a big thumbs up from me. It has a very cool vintage/retro feel to it. Very friendly and helpful staff. 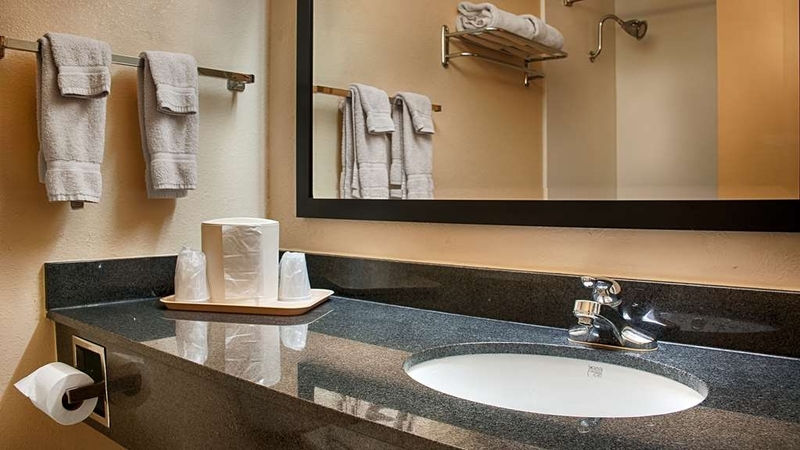 The rooms come prepared with all of the hotel amenities anyone would need. Clean, Cozy, and Comfy! Thank you. We love the ambience of this hotel. It's nice to see it appreciated. Thank you for your kind review. We love the grandness of the hotel and we have hosted many wedding in that beautiful courtyard. We were pleasantly surprised at how beautiful this facility is. The owners take pride in their hotel. The staff takes pride in their jobs. The front desk staff was professional and welcoming. The restaurant dining was excellent and Johnny went out of his way to make sure we enjoyed our meal. He was at breakfast and prepared the omelets to perfection. He is so cheerful and enjoys his interactions with guests. Enjoy your stay here. 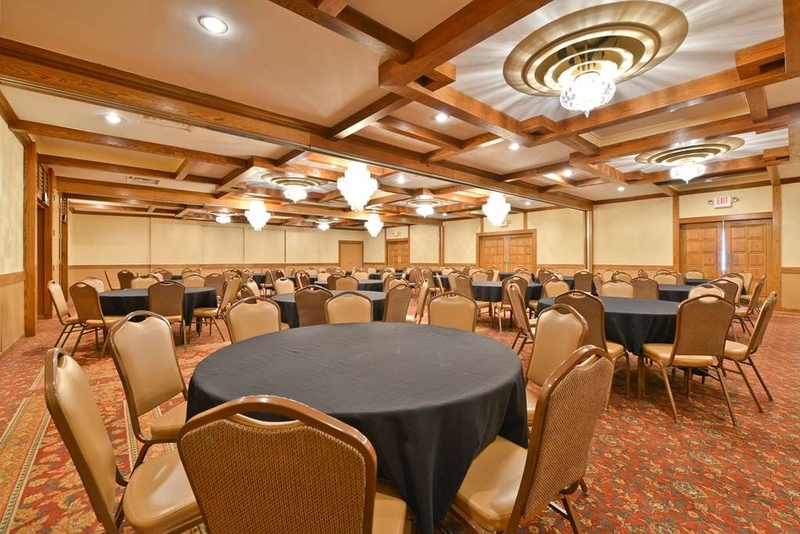 Plan an event here. It is spacious and beautiful large rooms,bedding and towels very nice. I wish I could give more stars. Thanks you, It is nice to see that the hard work is paying off. Johnny is one of a kind. We hope to host you again. Very sorry for the third party booking confusion. We can only go by the third party reservation and they should have takien care of that for you. I hope you will consider Best Western again. 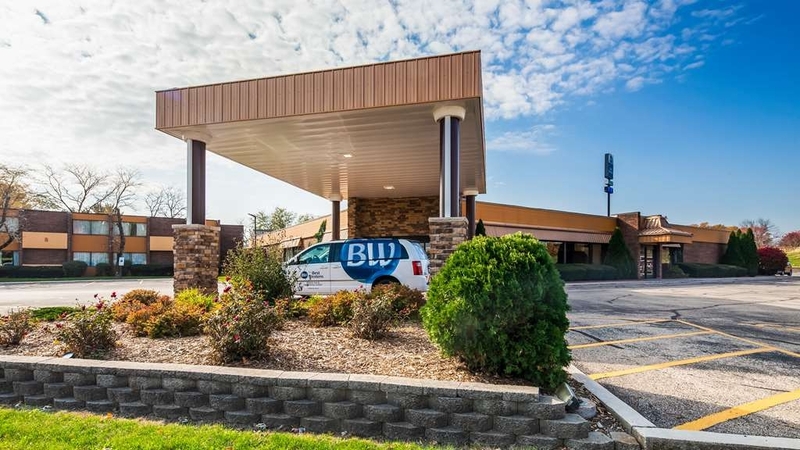 "Relaxing, Excellent, Secluded from the Rest"
I felt my visit to Galesburg was made better by the friendly, helpful staff at the Best Western Prairie Inn in Galesburg. Having a first-floor room was nice since it had a comfy patio overlooking the lush lawn. The secluded location, which was only a couple minutes away from the college, was perfect and not overrun by obnoxious people. The area was quiet, the trees, shrubs, and grass well cared for, and the staff the friendliest I've seen in a long time. I wish my flight hadn't been delayed - by the time we arrived, we had missed an entire day and night, yet I was still charged for it, even when I requested a review to see if something could've been done to help me. This was an OK place to stay if you're on the road. Not great, but OK. It advertised a restaurant on site which was Indian, but at the time we wanted an American one. This one was not advertised as such. Also, the drain in the bathtub was very slow to drain. Otherwise it was a very clean place to stay and what you would expect from BW. The staff were all very nice and helpful. Hotel for family wedding. Was convenient to wedding and reception. Hotel older but worked ok. Think ventilation exhaust fans need updated in bathrooms as Muskie smell in rooms. Several building and not good signage to get back to lobby or breakfast and none of hotel housekeeping staff could speak English so several of family members has issues trying to find the areas we needed to get to. I stayed here while traveling on a band tour. I was pleased with the stay. There is a nice restaurant on site with a lunge attached. The complimentary breakfast is served there and has a lot of items to eat. Since I was fed at the event I was playing for, I did not get to try the Indian restaurant there. The check in and out was easy and the clerks were friendly. The cost was reasonable and the client had picked it up. The room was good and the hallway noise was not too obnoxious. It is quite large so you can park in several locations out a close door. The staff was very friendly and helpful. The room was clean. The beds were comfortable. Big TV, fridge, and microwave. Breakfast is your typical hotel breakfast, I was fine with it. Did not have a chance to try the restaurant, but next time I am there I am sure I will. I expected less coming in and got shocked. The hotel is huge and has a nice outdoor space, great for summer days. "Rudest hote staff I have ever encountered"
i requested an early check in to drop off my luggage, was told by the front desk It would cost $40 to check in before 3 pm even though my room was available. got checked in finally at 2:30pm, dropped off luggage and went off to visit relatives and came back at 9pm and key did not work. went to front desk and was told we were given the wrong room and would have to move. UN acceptable. not getting everything out of fridge and packing up all my stuff at almost 10 pm by then. I was tired and wanted to go to sleep. called desk and told them i am not moving. they agreed to let me stay. the phone started at ringing at 5 am and again at 5:30am. I come to a hotel and pay a lot of money to relax. Not to be harassed. the linens were very old, thin, yellow and sparse. I will never go back and puts a bad light on Best Western. have never had such an unwelcome at any hotel I have ever stayed at. This is unacceptable for our property. I will look into this immediately. Please whenever you have a problem and it is not serviced immediately contact the manager of the property. I loved the outdoor scenery at this hotel. It was so pretty, and had a big courtyard area with a pretty focal point, and lots of green space and trees. It was very peaceful and relaxing. The pool was amazing, too. I usually don't stay at such a pretty place when traveling for work. It was a nice surprise. I greatly enjoyed the restaurant and bar, too. 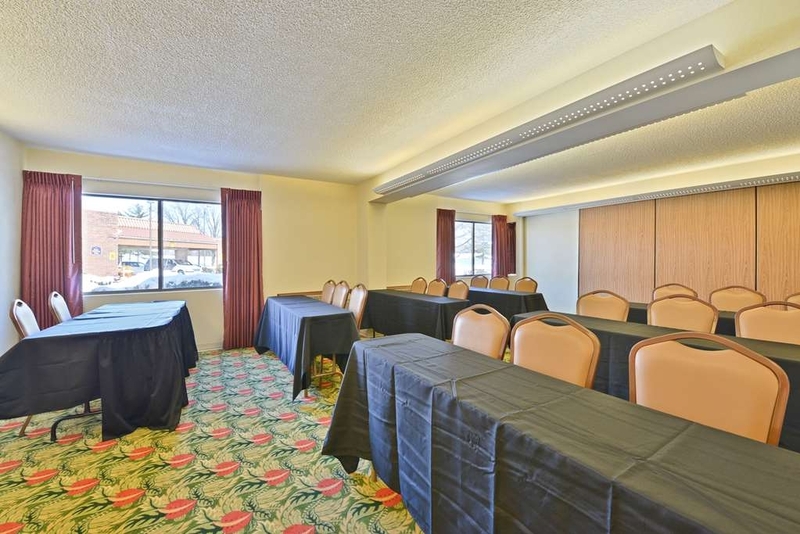 I have been reserving rooms at hotels across Missouri & Illinois for almost 20 years for my bowling teams for our tournaments. This hotel is by far the best in all these years. All the staff (except one snippy little girl) was outstanding. The rooms were large and comfortable and well maintained and clean. We had a group of bowlers that wanted to play cards at night and Crystal was kind enough to accommodate our group. Crystal was an outstanding host though out our stay. I cannot say enough good about the way she treated us and others. Thanks Crystal. The only less than stellar moment I had was a pink haired young lady at the front desk who had an extreme poor attitude. There was an error when we checked in and we were overcharged. The problem was resolved (by Crystal) immediately and I was told I would receive my refund upon checkout. When I checked out, miss pink hair rudely asked me why I hadn't noticed the error when I checked in? Her attitude was abysmal. But the rest of the staff was AWESOME. Thanks Crystal. Thanks Best Western Prairie Inn for our great weekend. Thank you for the kind review. We will address your issues immediately. "Book this hotel! You won't be disappointed!" I booked this hotel on Wednesday and arrived on Saturday. It was clean. Water pressure was great. Kids loved the indoor pool. Breakfast was amazing. Staff was helpful. Beds were comfy. Quiet guests. No problems here! Thank you for your kind review. It is nice to see our hard work paying off. Decent place. Shower was hard to turn on and soap dispenser didn't work. No forks available for breakfast. Breakfast was good though. Rooms were clean and happy that refrigerator/microwave were included. Hotel was comfortable, staff very helpful, and easy access. For the price compared to other locations on the trip we felt this one was overpriced for the age and lack of update appearance. However very clean. "Good value in central Illinois." Stopped in without reservations. Got a good room and the receptionist got us the best price. The breakfast attendant went out of his way to make special items in the kitchen for my wife's restrictive diet. It's nice to hear they are taking care of the guest properly at all times. I have stayed at this hotel on many occasions in the past, first when it was Jumer's (eons ago), and then after it became a Best Western. I was always impressed with the facility, its restaurant and lounge, and the beautiful rooms. It only seemed fitting that during a cross country road trip we would stay here for one night. Apparently, things have changed quite a bit since I last stayed here 9 years ago. The room -- whereas it appeared clean upon our initial entry -- is definitely seeing some wear-and-tear. I was particularly disappointed to see that the area underneath the vanity isn't receiving quite the housekeeping attention it should. I do wish the room had more than one chair, as we were watching television and one of us had to sit on a hard bench. (I prefer not watching TV from bed... just not comfortable for me.) The restaurant is now Indian-variety, and if I had paid attention to the website and realized this fact (this is my fault entirely) we would not have stayed here. I do not like Indian food at all. I did read that guests can order other food, too, but I didn't want to risk it. We were happy to have a bar to relax in, but we were told it opened at 5 -- and it wasn't. We went back to the room to wait a bit, and then returned to the bar at 5:30. Still wasn't open, nor did the restaurant appear to be. I called the desk to verify I had the opening times correct, and she confirmed that they were open. We went back once again, and they still were not. We didn't attempt a fourth time. I was further disappointed that the hallway behind the restaurant had a most unpleasant odor, much like rotting garbage. It seems to me that the hallway also used to have plants and such, but now it's just a plain, lonely hallway. I don't think this place is too far gone at all, or at least I should say, I hope not. What was once a very fine hotel is just seeing a bit of a downturn. I hope it comes around. I may give it one more chance next time I'm in Galesburg just to see. We will address your issues directly. We apologize for any inconvenience. Very pleasant hotel. Friendly staff. Enjoyed our stay. Thanksgiving with family and we spent the night here to relieve the crowding a bit. So we didn't have dinner here but we would have liked to. We love Indian food and the restaurant in the hotel looked great. "Nice facility with helpful staff"
I stayed here one night and attended a wedding reception at the hotel. All staff were very kind and helpful. The room was a large and clean with good Wi-Fi. I was surprised by how quiet the room was and by how comfortable the bed was-I slept great! I wish I had been able to visit the restaurant, as I heard very good things about it. The staff did a wonderful job with the wedding reception. older hotel, would not be my first choice if i had known better when I stayed there. Was first off the highway after a long drive. Hotel older, rooms not up to par with others Best Western properties. I was a little upset when trying to check in due them saying they couldn't find my Reservation, well they couldn't because they had let someone check into my room without being on Reservation or a Credit Card. Luckily it was one of my friends I was meeting there but supposed it hadn't been and I went to the room and who knows what could have happened especially seeing it was a male!! 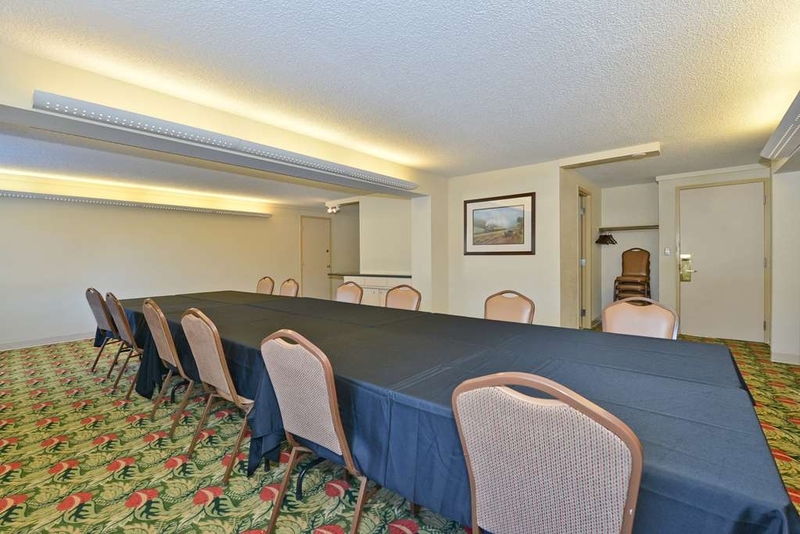 There was no breakfast as advertised when booking and the room was not as big as shown. It was clean and had no amenities. Soap and lotion were mounted on wall which would have been fine if you didn't have to pump the dispenser to 50 times to get enough soap to wash with. The best part was the authentic East Indian Food at the restaurant. "It used to be better..."
We stayed here several times in the past due to the convenient location. The setting is beautiful but the rooms have deteriorated since we stayed there last year. We stayed on the outbound leg and the inbound leg of our trip and both rooms smelled like Lysol spray. One of the desk chairs had what appeared to be a poop stain and they no longer offer free breakfast. 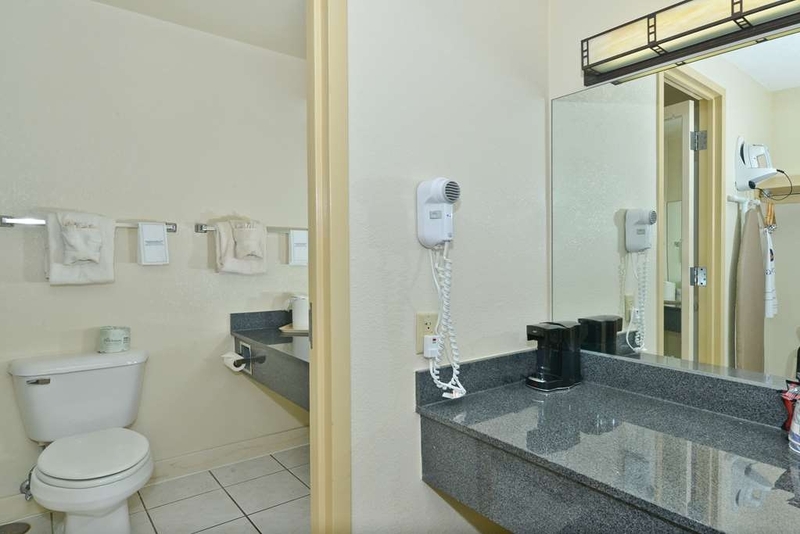 Clean hotel, friendly check in, good room rate, comfy room, modern bathroom. Indoor pool available but did not use. No jacuzzi. Disappointed that breakfast was not gratis. Good restaurants close by however. we got in late and were tired so we thought this looked like a nice hotel. WRONG. We were put into a room that smelled like dog urine, the place was dirty, no cups for coffee or water. Had to find some. The restaurant was utterly ridiculous. We waited for 45 minutes for our food and then they brought half of it. Almost done eating and then they delivered the rest of it. The parking lot is so dark, makes you afraid to go out. There was plywood sheets propped against the wall so we had to be careful not to get too close. We came down for a military graduation. I will never recommend this place to anyone. I will sleep in my car if I go that way again. "The place has seen better days"
We stayed here for a college visit and while the cost was great, it would have been nice to have a more up to date hotel. 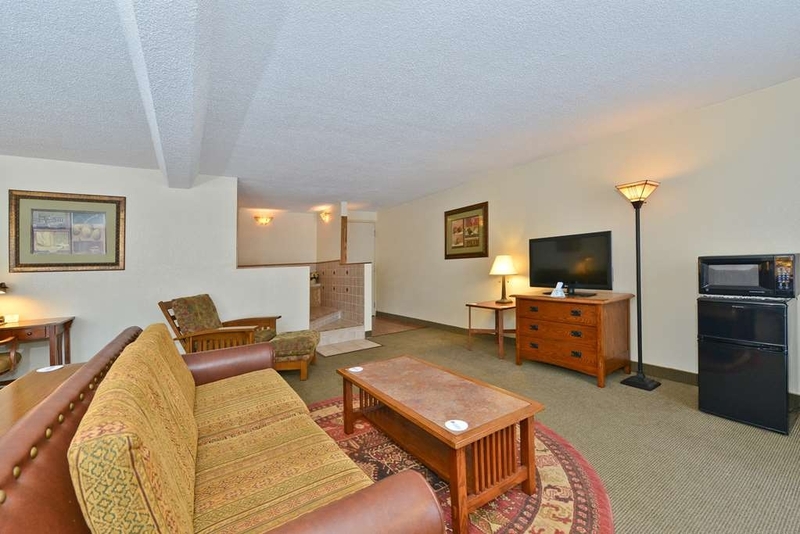 I was surprised as we regularly stay at Best Westerns and have always had great experiences. This one seems to have seen better days, it is outdated and needs to be cleaned up. It looked like there were some repairs or remodel going on while we were there. Our room was a non-smoking room, yet had a faint odor of smoke in the room, which may have come from the employees. We spotted ashtrays placed on tables facing the courtyards only. Our check-in process was quick, they did have our room reserved for only 2 nights when I needed 3 and that was quickly fixed thankfully since I was checking in at 11pm on a Thursday night after a long day of airport delays. The bathrooms were very basic and really did need to be cleaned more thoroughly, the soap and lotion dispensers were the in the wall type. You pushed on them for shampoo, conditioner, or lotion even in the shower, it was an interesting and I am sure cost-saving way of giving out toiletries. We didn't use them at all, because with skin sensitivities there is no way of knowing what type of soaps are being used without asking. We had issues with rooms being cleaned late and then not being cleaned at all one of the days. We called around 5pm to ask to have the room cleaned and they did come rather quickly to do so. We traveled with others in our family and they stayed in a room next to ours and their reservations said continental breakfast included. When we went to have breakfast we found that the place dark and closed and told the employees were late and were not sure when they would be in. Well we never went back and went to The Grandview instead for breakfast, which was great. 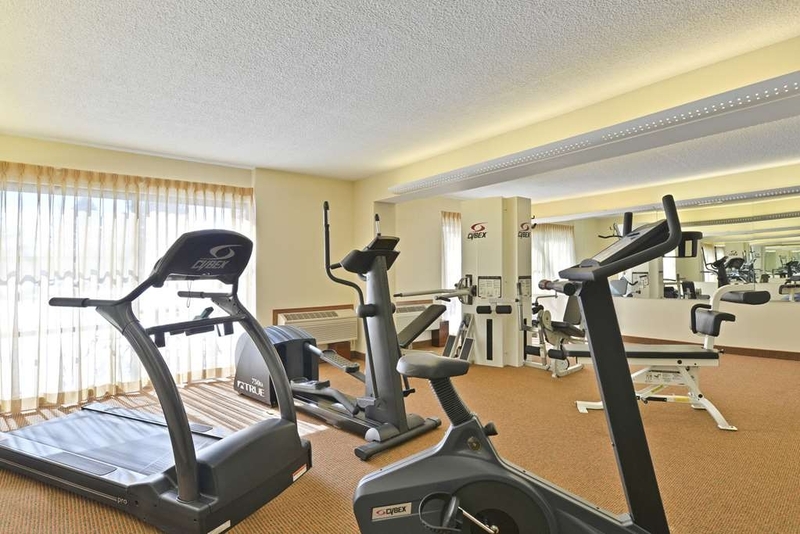 Another issue we had was the fitness center, while I understand that hotels do not usually have the greatest fitness equipment this one really lacked in most every area of fitness equipment. There was one treadmill, one elliptical and some type of universal lifting equipment and it was cumbersome to use due to the lack of space. It really is a shame, because this looks like a hotel that really has some potential, just needs some updating and cleaning up. I just don't think it quite lives up to the Best Western name at least not yet. The staff was nice. It was a quiet location. There were dirty areas in bathroom. There area where they wanted is to park was poorly lighted. There was no free breakfast. They had a dark unwelcoming restaurant. We won't stay at Best Westerns again. We usually choose Comfort Inns but there were none in the area. A quiet place, generally, probably the best motel in town, but unremarkable by more global standards. I've stayed here before and been happy. This time I had difficulty getting wifi in my room, and the desk clerk treated me as if I was stupid and computer illiterate. I am neither. I wound up calling the help desk and dealing with them for half an hour, and the problem was something with the hotel. Even when I told the clerk that, he still treated me as though I was lying and too stupid to figure out how to connect with wifi. His attitude was patronizing and offensive. Shower didn't work and staff is over worked and unwilling to stand behind what they say (lie) when confronted about what they stated or said previously. I made a reservation with pets and they want to fine me because the clerk put me in the wrong room. How am I supposed to know what specific room I need to be in? Came in for a birthday/college reunion party. We didn't spend much time at the hotel and never had an opportunity to use the pool, but the beds were comfortable, the room was clean and came with a mini-fridge, which was a plus. Staff was friendly and accommodating. More or less a typical Best Western. The room was ok, clean but a little old. Not many electrical outlets for charging electronics. The bathtub looked a little iffy - lots of discoloration, but it seemed to be clean. The shower diverter was sticky, so if you didn't notice it, you got doused with cold water while waiting for the water to heat up. The beds didn't seem as comfortable as most motels we've been in, but they were clean and we had no real complaints. It was just kind of a ho-hum stay.. The parking lot is fenced with bars which gave me a concern of safety. Bathroom was dangerously slippery. The trim on the parking lot door entrance to the inside of the hotel was hanging partly off the door. Building maintenance was poor over all. The building was old. The fire alarms went off at 1A. The desk clerk said the next morning the day shift did not reset the alarms so she tried and put in the wrong code and she than said – “oops, I entered the wrong code. Sorry about that." On a good note the location was perfect for us. Easy access to start our next day. Have stayed at the Galesburg Illinois hotel many times in the past. The courtyard, pool, fitness center and the restaurant are the main reasons for selecting this hotel. This last trip, I was disappointed to discover that the restaurant venue and menu had changed. Other guest must have felt the same way because in the past, it always had a lot of customers. Went to breakfast at 10:00am and was told that I was only the second customer that day. The food was good but the menu selection was limited. Everything else about the hotel is pleasing. The pool, courtyard and the staff were well above expectations. We selected this hotel based on reviews and had no negative surprises. The man at the front desk selected a room for us based on ease of access from the parking lot without prompting from us, and he avoided putting us in the corner with no elevator (they have one out of service for replacement - it is covered up with plywood. The pool is open pretty late (at least 11 pm I think) which was great for us because we usually get in late on our cross-country trips. The air conditioner was a little noisy and cycled on and off all night but I could have worked around that by selecting "fan always on", which I could not figure out how to do until morning. The only real downside is that we had planned to have breakfast in the hotel restaurant but despite having few guests there when we arrived, it took a long time to be seated (there seemed to be only one person working outside of the kitchen) and then after a long wait, we left and ate breakfast at a Grandma's Kitchen about an hour further down the road. We will try to stay here again if we take the same route back home next year. We stayed here for just one night as we were moving my daughter into the local college. We did arrive later than expected (9 pm), but we did call ahead to let them know. The desk clerk was very friendly,helpful and courteous. Our designated room was on the back side of the hotel,so you do have to drive around the building to park. The room size was large with two queen size beds. The pillows were disappointing as they were really small ,like throw pillows. I have slept on more comfortable beds,these seemed liked they have met their time frame for support,as they sagged towards the middle. We had a difficult time getting the water to come on in the tub/shower. Had us worried at first that it didn't work,but after several minutes of of tugging on the control knob we managed to get the water on. The morning was a disappointment as there was no breakfast available. The ad says continental breakfast, but we couldn't find any. We asked the morning clerk if they had breakfast,and she pointed is to the restaurant,which was empty,and no staff in sight.Needless to say,being on a schedule we didn't have time for a sit-down and order type breakfast. So we left and went to the local Hardees . The facility is large,and beautiful, but I expected more than I received from the appearance and ads. On a cross Canada/US motorcycle trip we've been on the road for 2 months and stay at Best Western quite often. Galesburg was a strategic stop for us and we really enjoyed our stay. For motorcycle enthusiasts the Harley dealership is right across the road from the hotel. 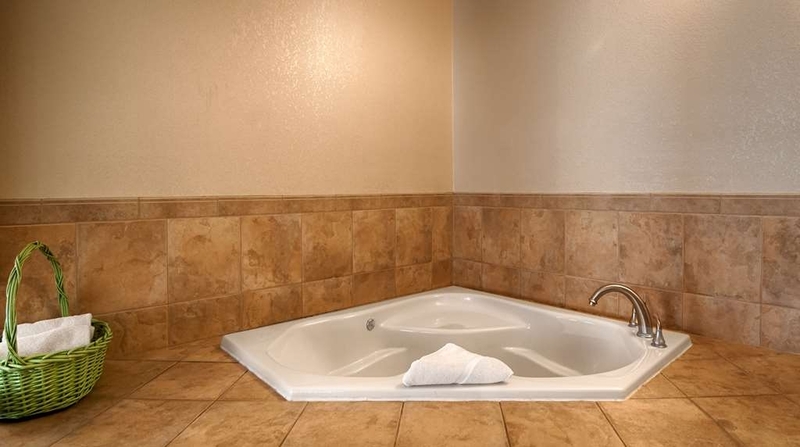 Being stiff and sore from a long day's ride we treated ourselves to a king/jacuzzi suite. By far the biggest room we've had on our trip. 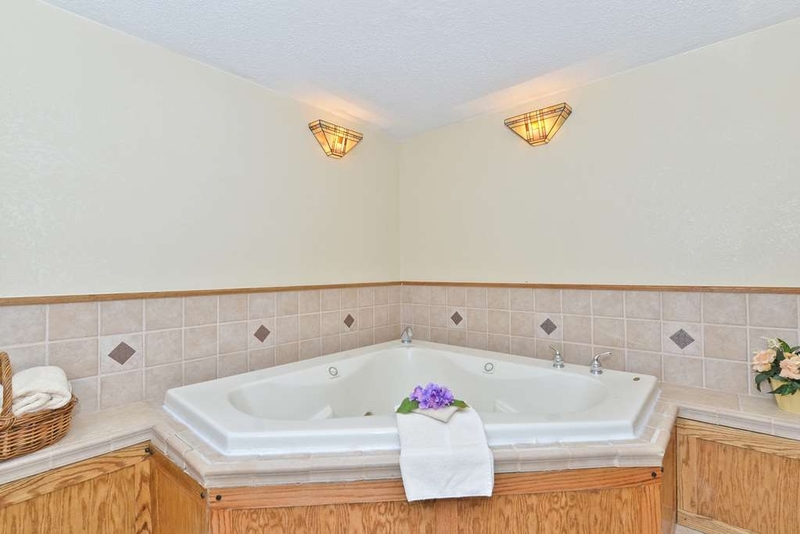 The jacuzzi is in it's own room, we had a separate tv/living room area and a very comfortable king bed. Plenty of lighting in the room which we really appreciate being night time readers. The room is very well equipped with microwave, fridge, coffee maker, wifi and right outside our door a patio with table and chairs. The Indian restaurant onsite was unexpected and we enjoyed our meals very much. Having signed up for the summer promotion our next stay at a Best Western will be free. Thank you from two very happy Canadian travelers. "Room nice, but guys were hanging on our patio space"
My daughter and I were on our way from vacation. We were assigned one room but when we saw it from afar, there were a couple men on the patio next to our room drinking and smoking. I was more comfortable having more privacy so requested another room. Front desk clerk didn't seem happy but reassigned us to another room which was actually more convenient for parking, etc. However, when I pulled back the curtains to our sliding door to the patio space into the courtyard, there were two different guys sitting at OUR patio table, also drinking and smoking. I was frustrated that we had been relocated to a room with the same issue but wasn't comfortable asking the men to move, since I was travelling alone with my daughter and by this time we were exhausted and just needed to eat and go to bed.I have no doubt they were harmless but it bothered me that they had rooms themselves somewhere but had decided to meet on a random patio. We just shut the curtains and went to bed. Price was high so I doubt we'll return. 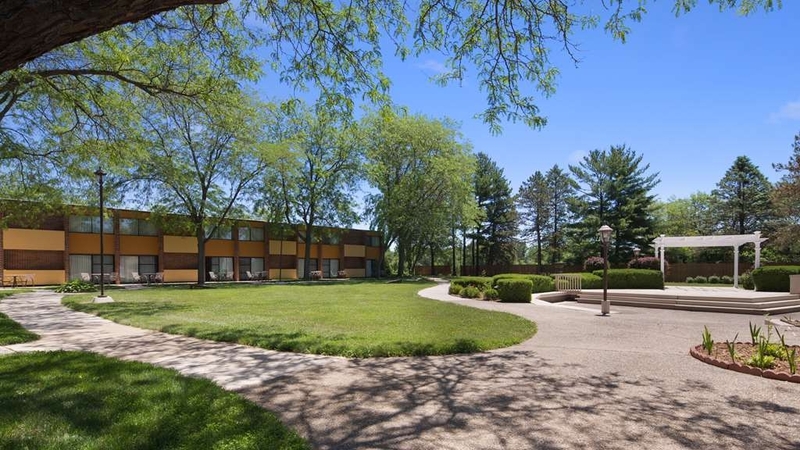 This facility has for years been my first choice when staying in Galesburg, which I must do for periods of several days at a time at different times of year. I have always been provided with the best of service and comfort in an environment which not only allows me to work from the room when needed, but also gives me everything needed to relax in comfort when not working. Nothing but praise for this hotel! 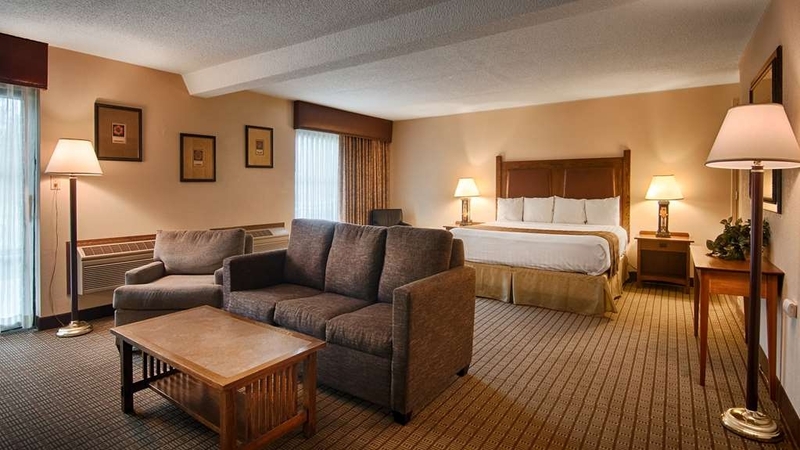 "Stay at Best Western was a good experience and enjoyed the stay"
Our stay was very nice, calm and clean. Loved the big room with refrigerator and microwave. These things come in handy when you have things that need to be cooled. Did not like paying for breakfast after reservation said it was included. I am glad we did not have several kids with us. While eating one man came in and then refused to stay because he had to pay. "Fine for quick overnight stop"
Stayed for less than 12 hours and it was fine. Clean room, weak lobby coffee. Indoor pool. Didn't eat so can't speak to food but I think the restaurant has an Indian flair. Right beside highway so I was worried it would be loud but not a problem whatsoever. read a few not so great reviews on this motel, but after staying there do not see the reasons why. 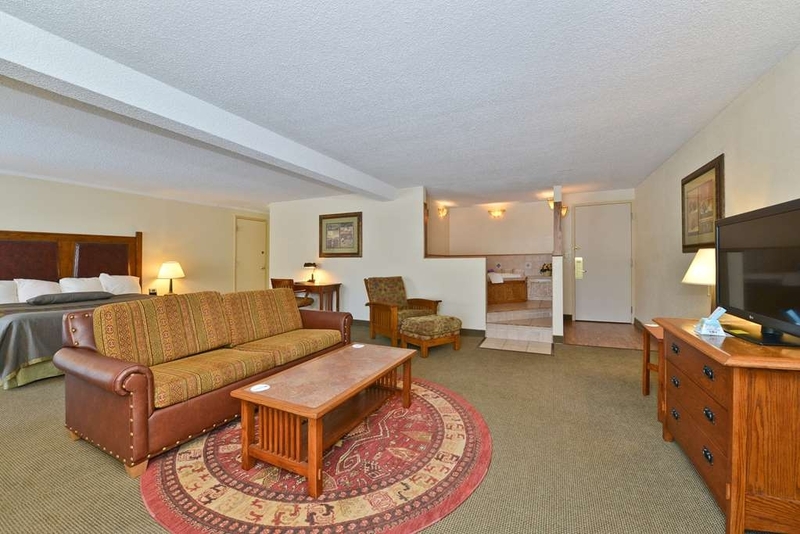 this motel is very nice, bed was comfy, staff very friendly, quiet off the road area, outdoor private patio. will be staying there again. they have a new restaurant opening, Indian-American fusion of sorts so can't wait try it the next time. 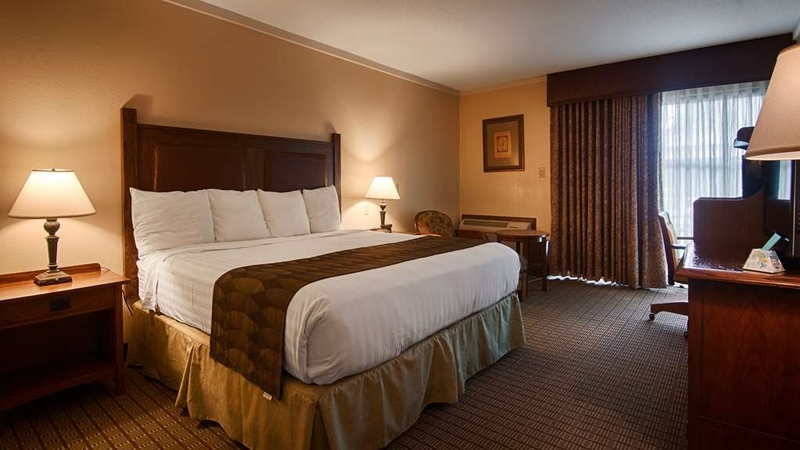 Excellent hotel with clean rooms, good quality linens, comfortable beds, and décor is beautiful. The best!!! 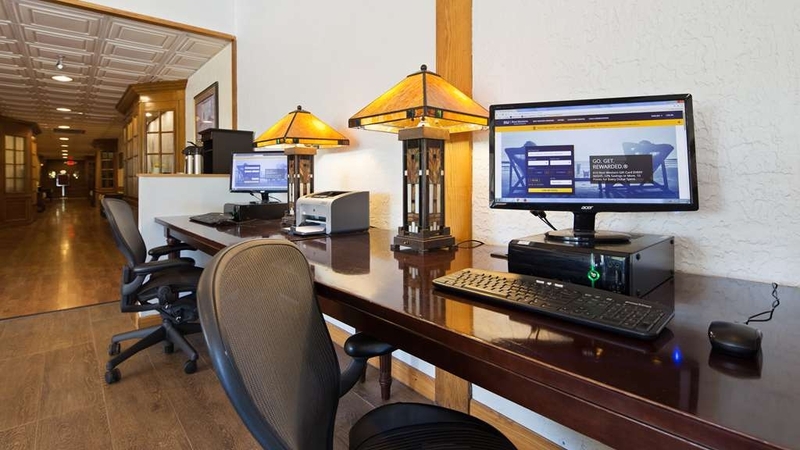 It always has a great locations with close proximity to attractions and nearby restaurants. We always try to consider any BW when we are traveling throughout the country. Nice room with a microwave, refrigerator and wi-fi. The only place I ever stayed that has the NHL Network. Unfortunately it wasn't hockey season. Windy was working the front desk. She could not have been more helpful. She even called the room to make sure everything was alright. The only down side to the stay was breakfast. They have a restaurant area where you can order breakfast for a charge. I sat down. The waitress brought me a menu. I ordered orange juice, and never saw her again. Thank goodness for the refrigerator and the microwave. "Relaxing courtyard with adjoining patios accessible from sliding doors." 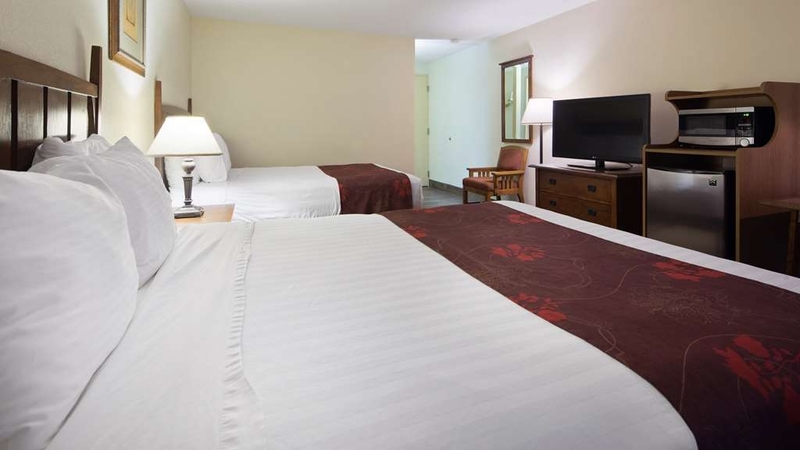 Friendly helpful staff and clean rooms are what we hope for and this Best Western has all that covered. On top of that, however, is the unexpected treat we discovered in the form of a relaxing secluded courtyard with our own adjoining patio complete with table and chairs. 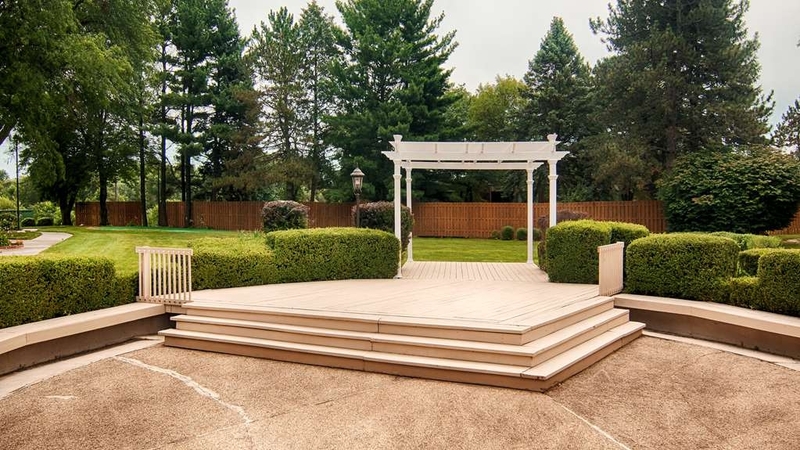 The kids could play a little bean bag toss or putt golf balls on the courtyard's putting green while we looked on. Very nice unit, Staff great due to heavy rain the night we arrived. Rooms very clean and Breakfast area very nice with great selections. Would say this is a nice unit to stay at. Easy to find. They had lots of pictures showing off the town as a railroad town. Very nice pictures to look at for history. I booked a room on-line for the weekend because my apartment building was being sprayed and I had to be out. The room was very nice and appeared to be updated recently. I did notice an odor in the hallways as was mentioned in another review. The carpet seems new. My only complaint was that Saturday was very hot and humid so I decided to stay another day and not have to rush to get back in my apartment. I called the front desk and requested to stay another day. When I checked out I was shocked that my bill for one night was almost double the amount of the previous two. I expected it to be higher for a Sat but if I had known the amount I would have suffered the heat and humidity and left that morning. This had been around for a long time but rooms are nice, place is very clean, handy to expressway. Not a cookie cutter motel. Restaurant open only for breakfast and every open table had crumbs on the black tablecloths. Our toilet, the power flush kind, needed adjustment. Beds good. Would stay here again and have breakfast elsewher, like Landmark 5 minutes away. This hotel has me a little worried since I have stayed at this property or been at events there over the past 25 years- it is a first class place with wonderful facilities for wedding/reception, conferences etc, but did not see that when I stayed this past weekend, only regular guests but I think rooms were booked up. They might need big group events to make it go. Unlike the past, the restaurant is no longer open, just an area adjacent to the bar for breakfast and maybe snacks in the evening. The breakfast is a little confusing and seems to change, a regular menu with very reasonable prices but also could order a breakfast with limited items for free - they did not tell us that. When I was there breakfast opened at 6:30 AM My room was very nice, although next to I 74, no road noise at all - refrigerator and microwave much appreciated. There is a front wing that had different room set up when I stayed years ago, I think property has had some good renovations. Price was reasonable compared to cookie cutter motels. We stayed here for a wedding. Our room was a little outdated, but clean. The bed and pillows were comfortable. They have a nice courtyard with slide out doors that allows direct access to the courtyard. The check-in was a little slow, but the staff was very friendly. They were able to provide shuttle transportation to and from the reception site for 6 of us for about $10. Overall, it was a good experience and I'd stay again. "Clean and Friendly Missed Elevator and Bar Soap"
I needed an overnight stay in the Galesburg area because I was attending a wedding. I found this property very modern and the king room accommodation was a pleasant experience. I have not stayed in a Best Western property for many years. However, as a travel agent, I will recommend this property to my clients as an option because my stay was an enjoyable one. "Not a bad place to stay "
Beds were good and rooms were decent. The hallways had a musty smell. The continental breakfast was the usual fare, nothing outstanding. This property is now using soap dispensers and they are mounted to low to the counter, making it difficult to get the soap in your hand. Upon trying to return the room key to the front desk we could not find the front desk attendant. Finally one of the house keepers showed up and said they would get someone. The front desk should always have someone close by. Considering this is a Best Western Plus I would have expected (and I did); more. 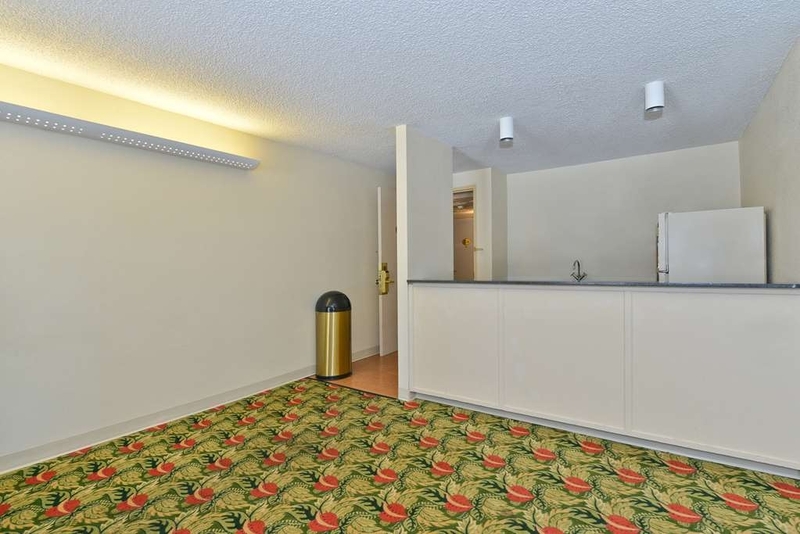 Great landscaping.quiet area but close to everything in area.Hotel staff very attentive .Nice clean rooms .Internet is below average but workable.Breakfast hours are not very flexable for the early riser or if you must leave for meeting .strting at 7 is too late i would suggest a 6am breakfast start time. I stay at this location often. Consistently good service, comfy bed, nice furnishings. This hotel has a restaurant, so don't expect a free breakfast in the morning. Have never eaten there (mainly because I never leave enough time and have to hurry to appointments!) but they have a menu board outside the entry, and the breakfasts appear very reasonably priced. Just an overall pleasant experience. The room is spacious with queen beds, refrigerator, and microwave. There is also a restaurant but as a guest you are entitled to a standard breakfast consisting of waffles, hard boiled eggs, cereal, juices, coffee, oatmeal, and fruit. It's located just off the highway, so it's convenient to getting in and out of Galesburg, but it's little distant from the center of town. The internet was somewhat spotty, not fast and efficient, but workable. I said the rooms were average but I would say "good" but it wasn't an option given. Queen size beds and an indoor pool. Room was clean but a bit dated. I'm not a big fan of the "community" soap, shampoo & lotion dispensers in the bathroom but I do understand the environmental impact of individual bottles. There was only 1 piece of tissue left in the box & 1/4 toilet paper roll left. I fully support conservation but I was thankful I only stayed one night or I would have had to call for more! I was impressed with this Best Western. The room was spacious and clean. The handicapped accessible shower had a shower chair as well. There were plenty of towels. There was a nice sized fridge and microwave in the room. The highway was a little loud, the hall carpet could be replaced, and the wifi was sketchy, but other than that I have no complaints! Hotels/motels in the Galesburg area are much higher priced than in neighboring larger towns (Peoria, Moline, etc.). This Best Western is the exception. 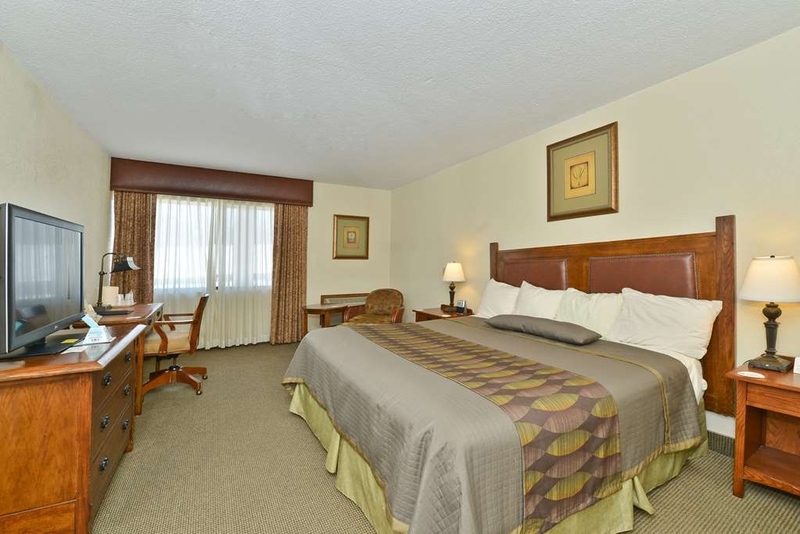 It is reasonably priced and our room was recently remodeled and was spacious, clean and comfortable. The breakfast was nothing to brag about, but for the reasonable price of the room, it was easily forgiven. Everything else was great. Front desk staff at checkin was rushing, rude and stand offish, that wAs after several of us stood in the lobby to check in for several minutes since there was no one at the desk! Breakfast bar for complimentary was bare and staff acted like it "put them out" to help you or answer questions! Won't stay here again. As a former Best Western employee I am less than impressed. "Didn't make it past the front desk"
Unprofessional, rude, rushed, empty room rate promises, condescending and overall seemed to be bothered by our questions and concerns. First impression upon driving up was let's keep on driving! Glad we found another hotel in the area after all. Snarky desk clerk. Made up a story about why I could not leave my Harley under the entry awning saying a semi had "come barreling" through this island, landscaped, convention center lot and wiped out a motorcycle the hotel had to pay for. . An Indy car driver could not "barrel through" this maze. She didn't know or care that they sold Coke products, she told me the restaurant was open for dinner from 5pm until 9pm when the property had closed the restaurant because "it wasn't making money", though the website still advertises a full restaurant. The breakfast was waffles and cold cereal. This place is a disgrace to the Best Western brand. I am not a fan of these older convention style places. But the price was right so I took a chance. As I drove up I started to think I had made a mistake....but it was very nice. I'm not sure I would say 3 star but it was very clean. The staff was friendly. And I would stay again. Mini fridge and microwave. Breakfast was bleak. But ok. 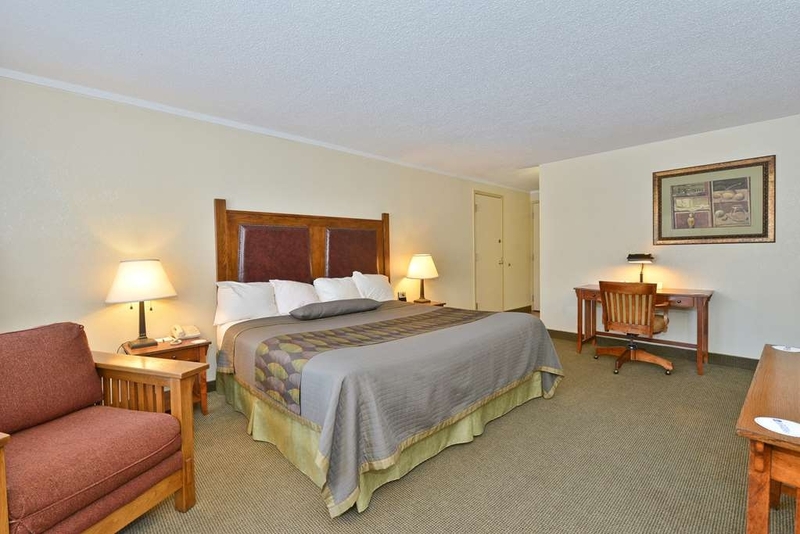 This Best Western is located in a nice, quiet location... easy access from the freeway. The front desk staff member was friendly. The property was clean and room was very comfortable. However, getting to your upstairs room with luggage could be a challenge if you are not capable of doing stairs easily. The parking is not convenient to the entry doors and their are no elevaters. I was in the A buliding.... with steps to the entry doors. There was a good selection of breakfast food with the stay... You could also utilize the restaurant and order from menu. I would stay again, but ask for a first floor room location next time. Disappointed with check in and assistance in locating our room. The clerk was more interested in getting back to her phone and trying to rush us through the process of checking in. My wife got rude answers to questions she asked. Very disappointed with this. However the rate was good and the room was very nice, just hard to find. Very confusing in navigating the corrodes to our room. Not very friendly user for older people, gets confusing trying to find your way, like a maze. Great food at the breakfast. Even had it out a little early so we could leave early. Very clean and neat. Would have liked a smoking room which are at other Best Western hotels in the country. Friendly people. "Excellent room + Pet Friendly"
They got a 5 star because they not only were pet friendly but they gave us a lovely room on a courtyard which made it very easy to walk our dogs. And they were reasonably priced! We didn't use any of the facilities but I could see the pool from the courtyard and it looked very nice. Me and wife stayed there overnight on a trip. Got there late around 9pm staff greeted you as you walked in and made sure you knew directions so you could park closest to room and not walk very far. Had free continental don't know what it consisted of did not eat there. Room was very clean remote for tv was hard to get it to change channels or turn volume up had to point it just right for it to work but nothing major. Soda machines at end of hall was sold out of just about everything but root beer and diet pepsi. Overall great place to stay if needing a good place to stay for the night or longer worth stopping in price was not to bad either. Sitting back off in a rural area, with some interstate noise when walking outside. Did not hear it from inside the room. This hotel offers a restaurant, bar with slot machines, swimming pool and a beautiful courtyard. Landscaping is well maintained. Beds are comfortable, rooms are clean and comfortable.. The only issue I had, was the fact there is not a washer/dyer for personal use. After staying there a week, working 12 hours a day, I needed to do my laundry on Saturday, my only day off. Unfortunately, I had to drive 4,5 miles to a Laundromat after working all night. It would have been really nice to be able to relax in the comfort of my room, while doing laundry at the hotel.. Other than that, it was a nice stay..
"Great place to stay when visiting Knox College!" "Solid hotel, depending on the price point." Solid hotel, depending on the price point. I booked this place because rates were great, and it was a good stay. It really has everything one needs on the road, whether on business or visiting family, etc. I arrived late, so the restaurant and bar was closed. The complimentary breakfast was typical for a mid level hotel. The room was fine. It was a bit of a mish mash, to be honest. Part of the room had been updated recently (new tile entryway, new light fixtures in the bathroom). Other parts were really dated (particularly furniture in the room). Because of this, the room does still feel aged, especially because of the older, dark wood furniture, which really doesn't match. Its a big hotel, so it may be a bit of a hike to your room. But I'd stay here again, especially if its at a lower price point than other hotels in the same class. 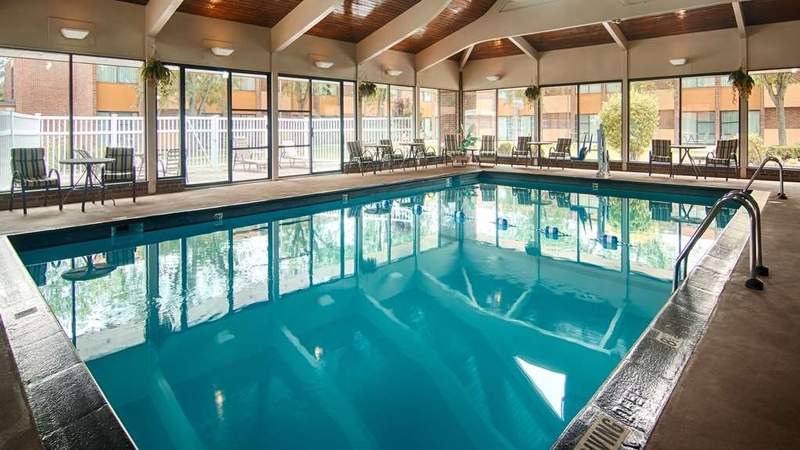 Very nice, clean, comfortable rooms along with an awesome pool! The staff was great and Teresa was amazing and welcoming! The bar was a plus so you don't have to leave the hotel for a drink. Quiet mature place to stay. Great for the money! "Stop over in Galesburg, IL"
This a very nice hotel. Quiet, as it is away from traffic. The staff is very professional and takes time to LISTEN to their guests. The room and amenities re very good and the in hotel dining/bar is very welcome when traveling. Our room was nice and clean, the bed was very comfortable. We stayed in a suite and the room was very big with lots of space. The staff was friendly and helpful. The property felt worn and needs update. We had stayed at this property many years ago when it was a Jumers hotel and it was a top notch place. The bar/restaurant did not have a large menu for drinks or food. We ended up going off the property but would have preferred to stay on site. Overall it worked for the price. I stayed 1 night in this Best Western and, overall, was somewhat disappointed. I checked in late afternoon and was extremely tired when I arrived. The on-site restaurant was closed because it was New Years Day. I did not feel like getting back in the car and driving to one of the places "just down the road", so I made do with some snacks I had in the car. The room was okay and fairly clean; bed was comfortable. There was a microwave and small refrigerator. However, the hallways were "cold" and drafty. I had breakfast the next morning in the on-site restaurant and was surprised that it was not complimentary like it has been in almost very other hotel/motel I have stayed in recently. The server said the restaurant was not owned by the motel. The restaurant food was less than desirable, but convenience was what we were after- but would have went to a restaurant somewhere else. Staff was friendly and the place was clean. This location does not have complimentary breakfast. Location was outside of town . We should have done more research on proximity to where we needed to be vs using a hotel that we trusted. Thank you for your kind review! We are glad that our staff helped make your stay enjoyable! Please come see us again in the near future. We now have a free continental breakfast that offers a variety of goodies for that early start in the morning. Just like the the previous review, I'd advise you to not stay at this hotel. Although, I give it that they have the best bartender on hand, she's kind and friendly at wha she does. So, the housekeeping is spectacular. BUT The blonde front desk clerk (didn't get her name) was very judgemental and gave some snobby comments about other people that were staying at the hotel. Isn't it "don't blame others cause they sin differently than you do" pish posh. Stay at the holiday inn, we literally moved cause of thus. Not only, but told her how I felt. The lady didn't even know those people;rude. I'm baffled at this ladys comments. Generally an as expected chain motel, but this one was way overpriced merely because the dates of my stay coincided with my college homecoming. I felt the room was worth about half of what I was charged. Wonderful hotel for the cost!! Clean room, great lounge, friendly staff. The breakfast is superb with healthy and non-healthy (smile) to choose from. As a female business traveler, I feel safe at this hotel. Stayed here to visit my daughter at Knox College. The location is very close to the college. Basic hotel, nothing fancy but did the job. Friendly staff. Beds and pillows were cozy. The room had a nice flat screen hotel and we had a nice sliding glass door out to a patio and courtyard. "Maybe not a Best Western"
I loved every bit of my stay. Friendly, staff, very helpful, clean room. Great wifi, loved the privacy from the main hotel area. Clean, pleasant lobby. I ordered a pizza Comfortable bed Would stay again! "Read Closely - No FREE Breakfast Here!" This Hotel lists itself as "Motorcycle" Friendly in the Harley HOG Travel Service. As a HOG member we are Best Western Platinum Members as well. Most Motorcycle Friendly Hotels offer such things as Discounts, as well as Free Room Upgrades, Preferred Motorcycle Parking, and even Rags or a washing station to clean your bike. This hotel offered us a bottle of water, and claimed to have given me a room upgrade, but the room was the same room that I had booked... and They offered nothing more. It paled in comparison to other Best Western's who claim to be Motorcycle Friendly. What really made me angry was they listed breakfast (I assumed it was comp like most other BWs) - and once we were there - they did not offer a FREE continental breakfast at all. Which Drastically cuts the value of the Cost of our Stay. I wouldn't stay there again - there is a much nicer one just south of Bowling Green at Fostoria!